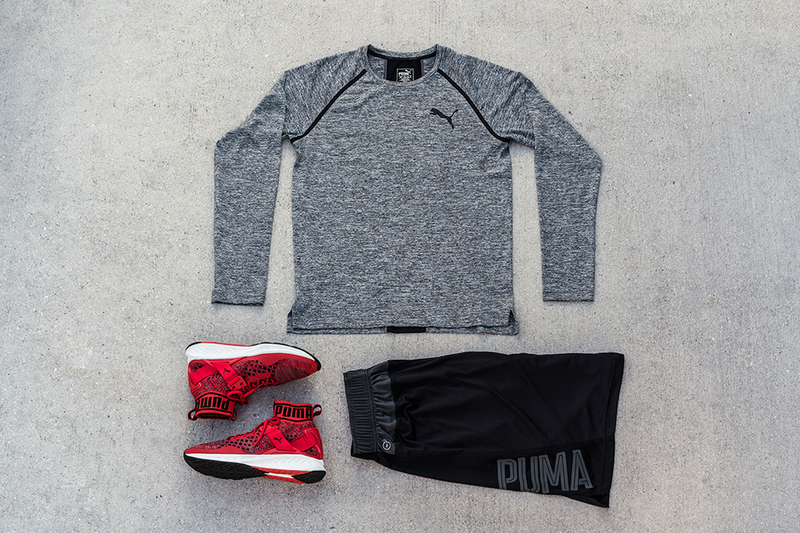 If you can’t beat ’em, join ’em. 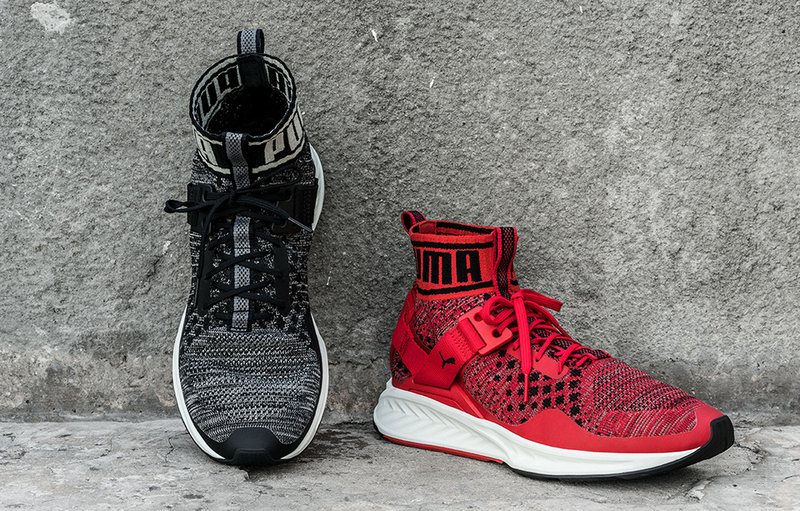 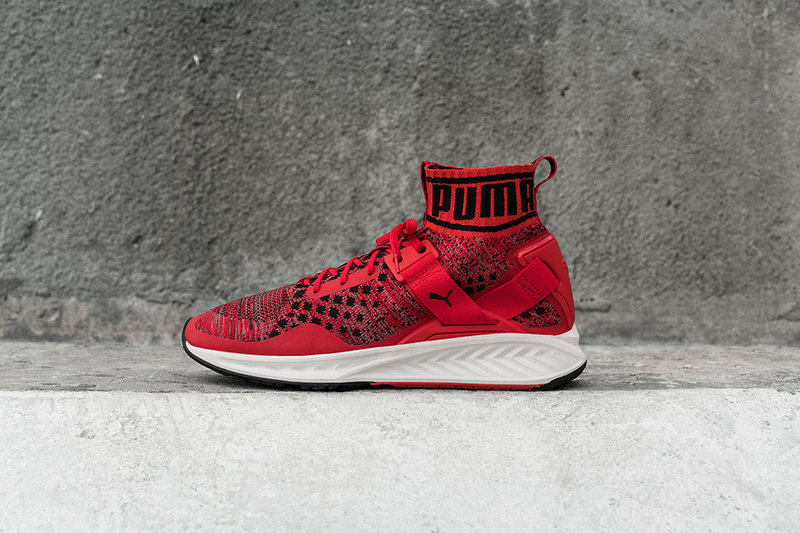 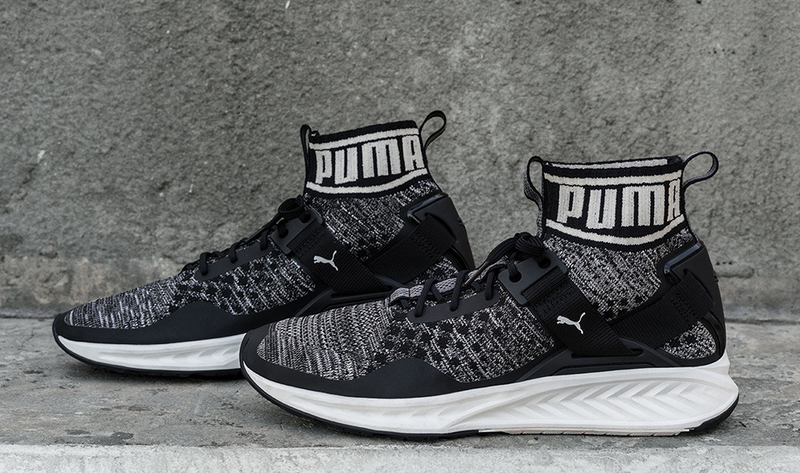 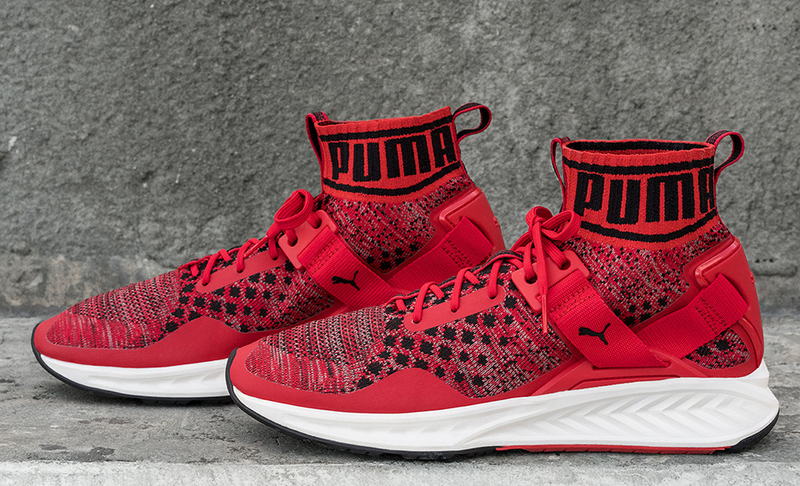 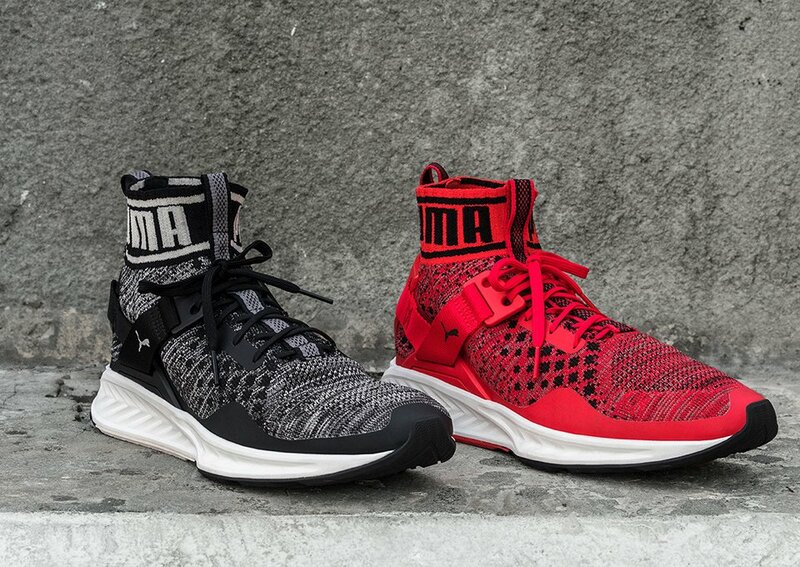 Puma hops in the knit athletic shoe game with the IGNITE evoKNIT. 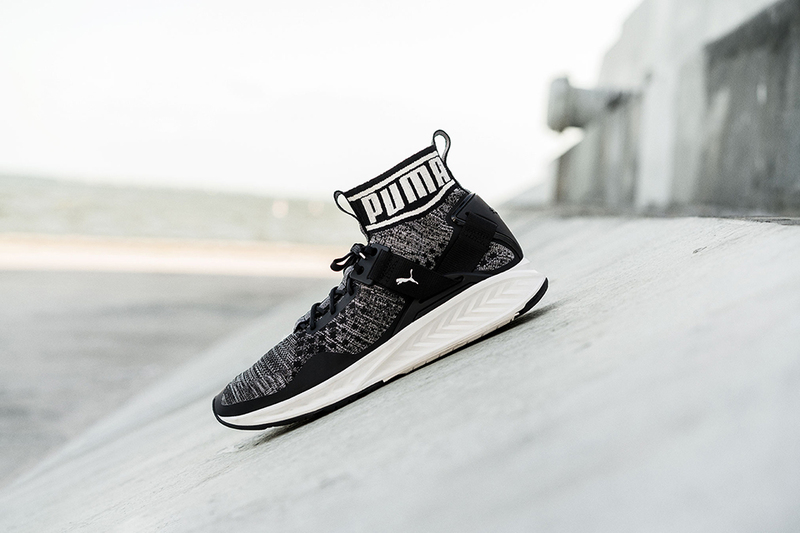 These stylish running shoes have a fully knit form-fitting upper and collar. 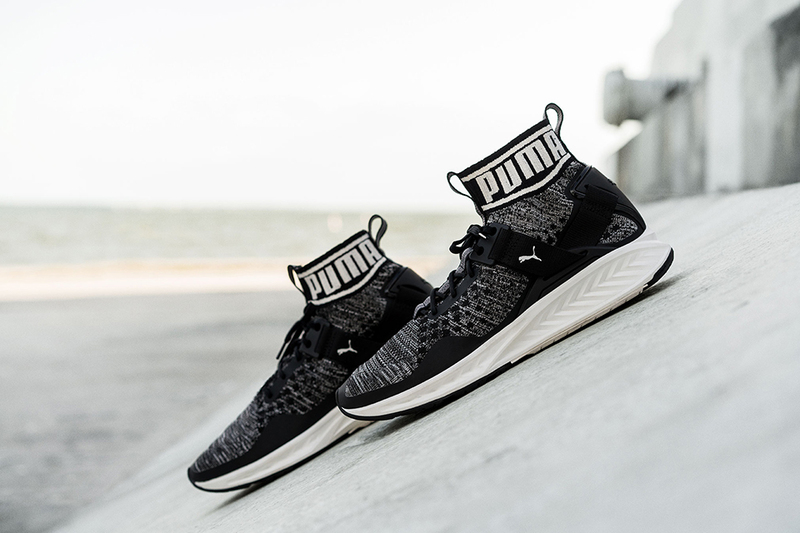 It also has a heel support strap and the IGNITE midsole for premium cushioning.